Brief Introduction：A mineral separation equipment for mineral separation using the principle of different settling velocity in vertical alternating current. 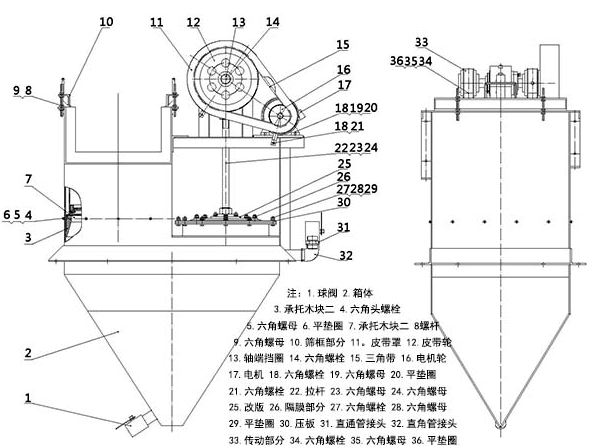 Application : Jigger is fixed sieve type. It is suitable for the selection of metal ores, such as tungsten and gold bearing placer, and tin ore. 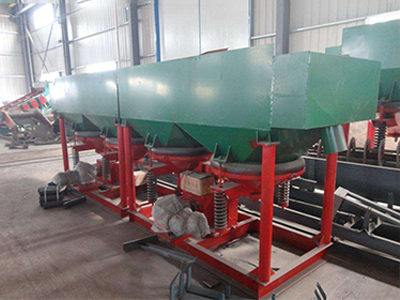 It can be used to select fine materials as well as coarse materials, and the maximum ore granularity is 6 ~ 8mm. Product Improvement：The sawtooth jigger adopts a conical slide valve, which has low failure rate and small energy consumption. It can realize the separation of different materials and improve the processing capacity of more than 35%. 1. The jigger's stroke and punching speed are easy to adjust, and the advanced frequency conversion technology is adopted to facilitate the operation and management. 2. The processing ability is big, the selection granularity, the wide range. 3. The area is small, and the capacity of unit area is large. 4. The use of multi room sharing numerical control wind valve technology. 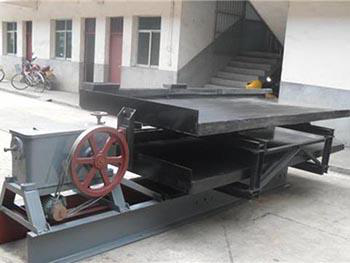 Jigging chambers are main composition of jigger, there are screens in each chamber.Water and raw ore will be fed from one end of the jigger screen, the ores will move in the vertical alternative water-flows. Layers will be formed because of density difference of materials. The minerals with small density will be in the up layer and will flow together with the up pulp flow while material with bigger density will be in the down layer and will discharged from the down discharging port as jigging concentrate.